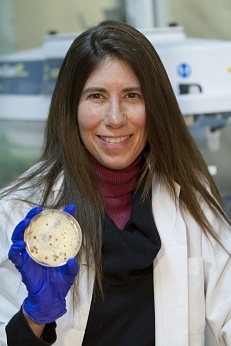 Dr. Ellen Jorgensen is co-founder and President of Biotech Without Borders, a nonprofit organization dedicated to promoting citizen science and access to biotechnology. She is passionate about increasing science literacy in both student and adult populations, particularly in the areas of molecular and synthetic biology. She cofounded and directed the community lab Genspace in Brooklyn NY where she initiated Genspace’s award-winning curriculum of informal science education for adults and students in biotechnology and synthetic biology, which resulted in Genspace being named one of the World's Top 10 Innovative Companies in Education by Fast Company magazine. Her efforts to develop innovative ways to support citizen participation in science have been chronicled by Nature Medicine, Science, Discover Magazine, Wired, Make, BBC News, Dan Rather Reports, PBS News Hour, The Discovery Channel, and The New York Times. She has a Ph.D. in Molecular Biology from New York University, spent many years in the biotechnology industry, and is currently adjunct faculty at The Cooper Union. Dr. Jorgensen’s two TED talks (Biohacking: You Can Do It Too and What You Need To Know About CRISPR) have received over two million views. In 2017, Fast Company magazine named her one of their Most Creative Leaders in Business.